Creating easy to use materials for my classroom is so fun! I have used my summer break to stock up on fun printables (the smiley shapes are my favorite! ), simple busy bags or independent table centers, and super fun manipulatives (homemade and from the dollar store!). 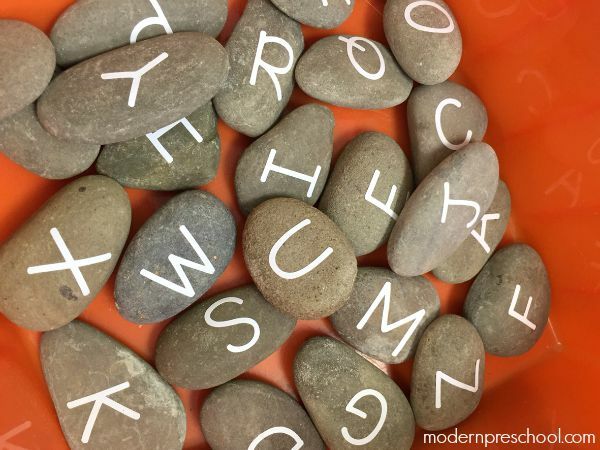 One of coolest things I made for my preschoolers are these Alphabet Letter Stones! Aren’t they beautiful? They were so easy to make with my Cricut! The Cricut company sent me an awesome Cricut Explore One (and a ton of extras), and I’ll have to say I was super intimidated to even open the box for a while! I have no idea why though, because Cricut includes step by step set up instructions. 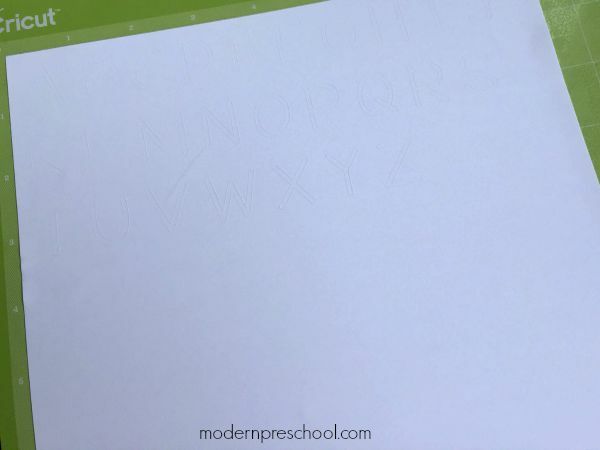 Within minutes of creating my online account on the Cricut Design Space, I was cutting the sample vinyl piece included in the box. My parents have all these awesome smooth stones under their deck in their backyard and I recently asked my mom to collect some for me to use in my classroom. I had no idea what I was going to do with them, but I was seeing lots of ideas online. As soon as I realized how fun the sticky vinyl was, I knew I’d be adding it to my stones! 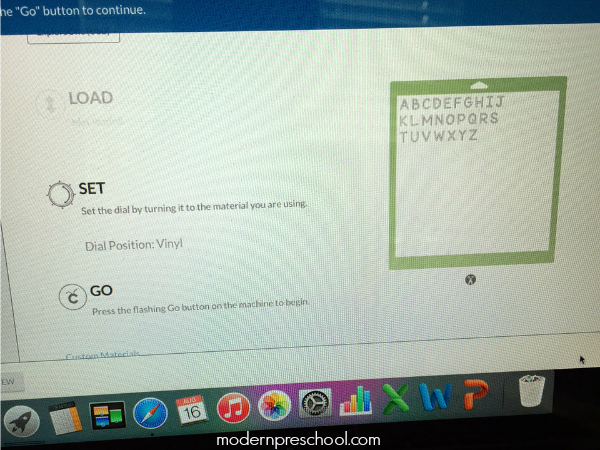 I typed out all 26 upper case letters of the alphabet into the Cricut Design Space. I made sure to stay within the measurements of the vinyl I was using. Each letter was approximately 1 to 1.5 inches tall. I placed the vinyl on the cutting mat. 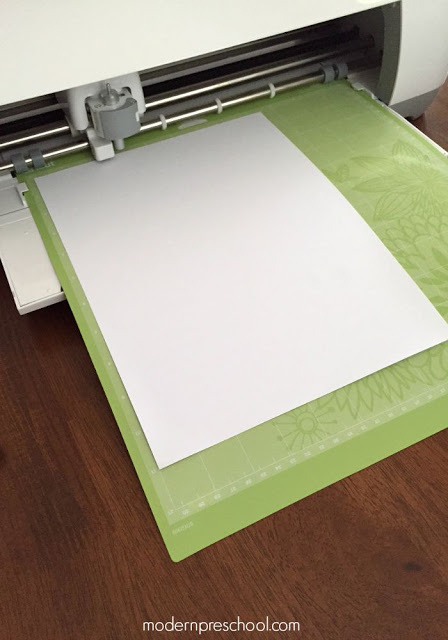 The mat is slightly sticky so that the material you are cutting doesn’t slip. My dial was set to vinyl. Then I hit GO and watched my letters get quickly cut out! The vinyl easily peels off the mat and the letters easily peel out of the vinyl! The hardest part of my whole idea was deciding which letters should go on which stone. My set of alphabet stones look awesome and they are waiting for my new preschoolers when school starts next week! My plan is to use the dump truck full of letters during circle time. Some days, truck will drive around my preschoolers while each child takes a stone. We’ll talk about the letters and match them to the letters on our carpet. Other days, the stones will be dumped on the carpet and the students will have to match them all up with the letters on our carpet. 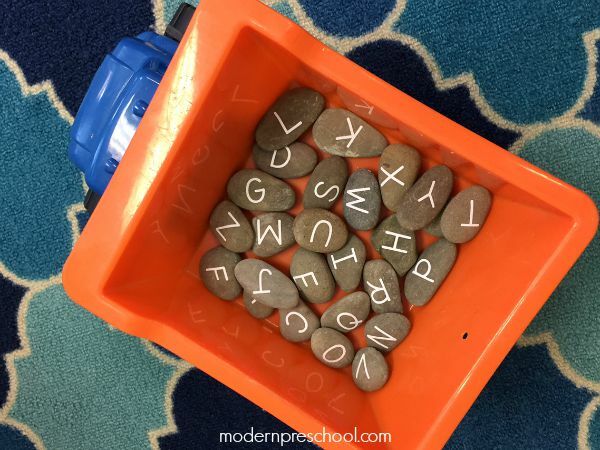 We’ll practice letter recognition and letter sounds as we collect the stones to add them back into the truck. I’m sure that the stones will be used in our block area during center time too! I am not sure how I waited so long to own a Cricut! Now that I own one, I have so many ideas for centers, classroom decorations, and organization. I think my 9 year-old loves my Cricut Explore as much as I do. Check out the art folder I made for her and my fun lettering on my classroom door over on Instagram! If you’re a teacher (or know a teacher) who has amazing ideas and would love to win a Cricut or a prize pack, head over to the Cricut Facebook page to enter! Disclosure: I received a Cricut Explore One and supplies. All opinions are my own. Cute idea! 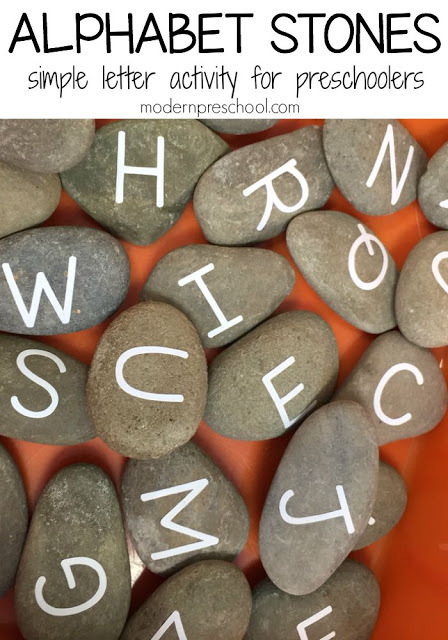 My daughter loves playing with stones so this is a great way to add some learning to it. Thanks for linking up on #ToddlerFunFriday! Thanks Ali! These have been a huge hit with my preschoolers! Found a lot of great ideas here! thank you for sharing. I s’pecially love the prewriting strips which some of my group with of straws or pipe cleaners as well as play dough. It’s fun to see all the thin “snakes and worms” become stars etc.